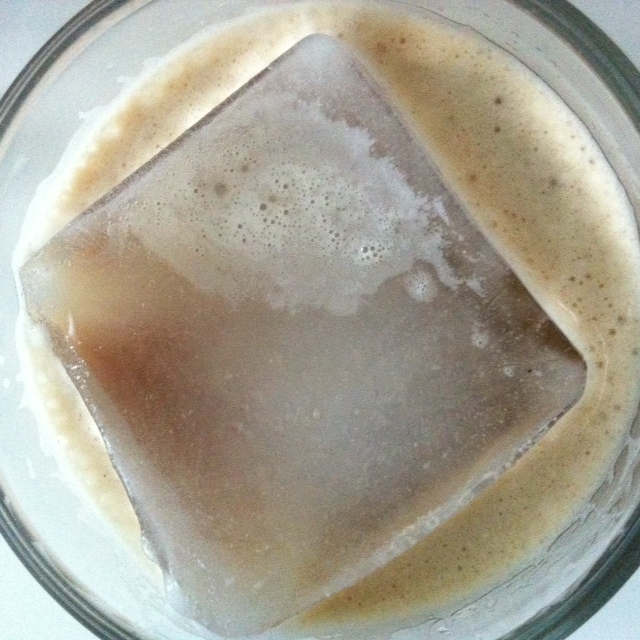 In these last few days of summer — and some very welcome heat here in Toronto a few days this week — I’ve been using my new toy, the Nespresso Vertuoline (a sweet gift from the folks at Nespresso) to whip up these Iceberg Lattes. I like to have one after a long run as it’s cold and refreshing, it’s got some electrolytes thanks to the coconut water, and some milk, which is good for post-workout recovery…but they’re good on any ol’ sunny day, too — no workout required! Combine all ingredients except ice into large cocktail shaker. Stir to co,bind and dissolve nectar. Pour entire contents of shaker, including ice into glass.